I jumped in. The water was warm and crystal clear; it enveloped my whole being as I plunged, paused, and sprung back to the surface. 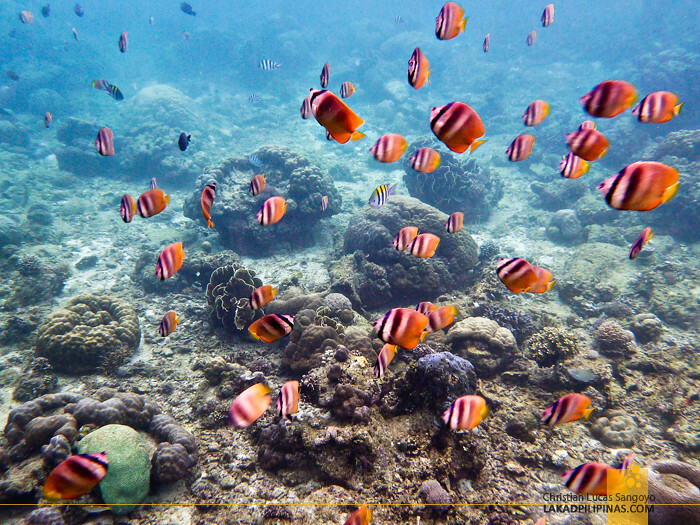 I had a quick glimpse of paradise; schools of colorful orange-striped fishes swarming above a seabed replete with healthy corals. 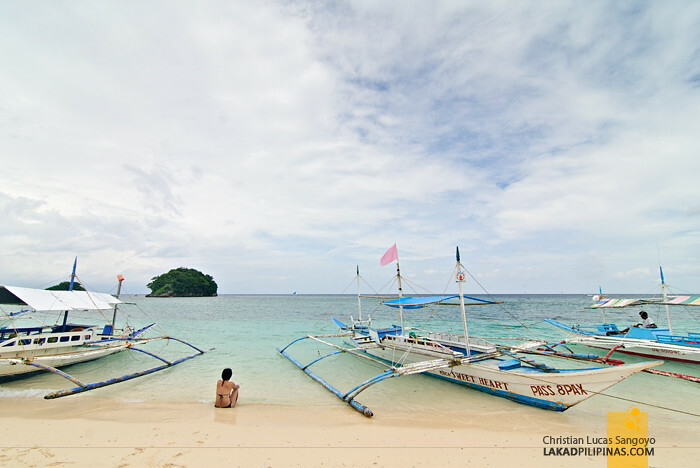 I puffed seawater out from my snorkel, readied myself and let Boracay’s emerald waters envelop me once more. Our day started early at Boracay White Beach’s Station 2. We weren’t really planning on doing the island hopping tour since it was the rainy season and the weather wasn’t really that great, but C’s friend, who runs a boat tour around the island convinced us otherwise. 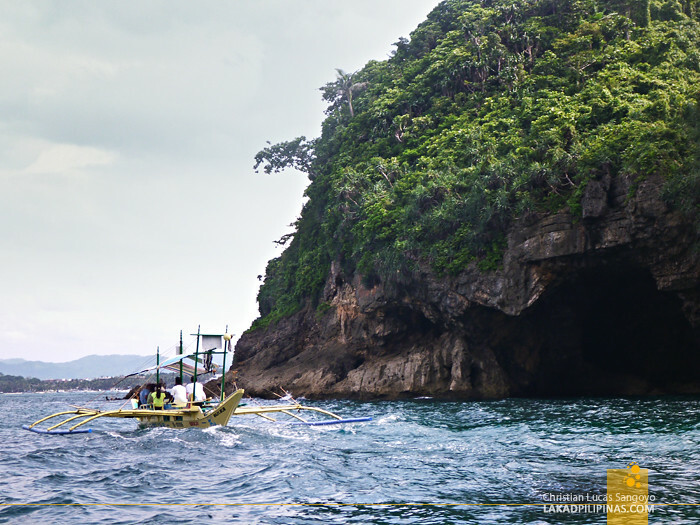 She told us that tourists can still do the tour, which runs for about five to six hours, even if it was the habagat season (south-west monsoon). 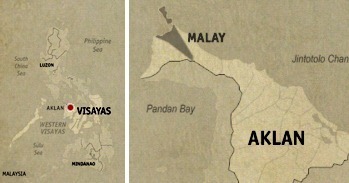 The tour sites shift to the eastern side of the island, with Bulabog Beach being the jump off point. So off we went. From Station 2, we were fetched by a shuttle which brought us to Bulabog Beach [GPS COORDINATES 11.963711, 121.930210] where hordes of tourists were waiting for boats to take them out to sea. It took just about five minutes for us to reach it, being just on the other side of White Beach. Heck, we could’ve actually just walked. Some minutes into the boat ride, our banca slowed to a stop and anchored at Crocodile Island’s marine sanctuary [GPS COORDINATES 11.949844, 121.950645]. We hurriedly donned our mask and snorkels, jumping into the water as our Korean boatmates fumbled through their life-vests provided by the boat. I was quite surprised that Boracay Island has something like this. I never imagined this party island to harbor such a healthy underwater life. 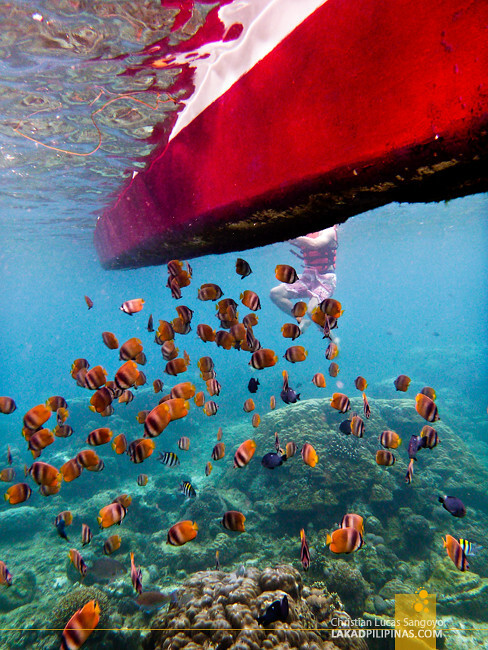 The corals I beheld were in perfect shape and colorful fishes abound in massive numbers. It was utterly beautiful. It was drizzling on and off that time, but the inclement weather didn’t affect the clarity of the water one bit. Even the choppiness above didn’t translate below; it was an absolute joy to swim without any current pulling against you. Can you just imagine this place on a very sunny day? 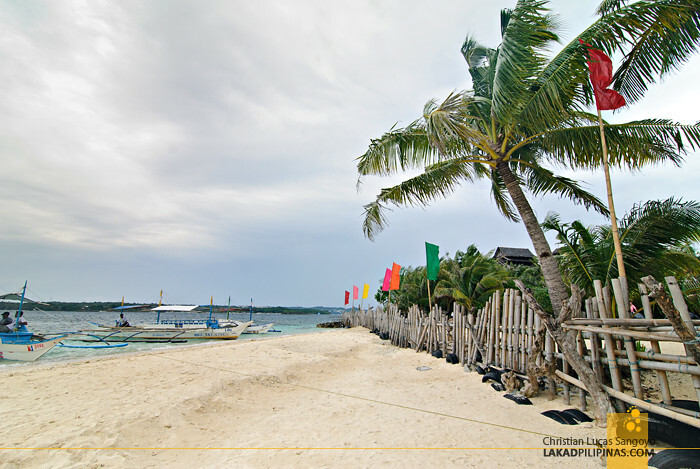 It would be a real paradise for snorkeling and diving enthusiasts. We dropped by another snorkeling site right after, but it was a bit of a disappointment compared to the waters along Crocodile Island. There are corals around, but there were hardly any fishes. 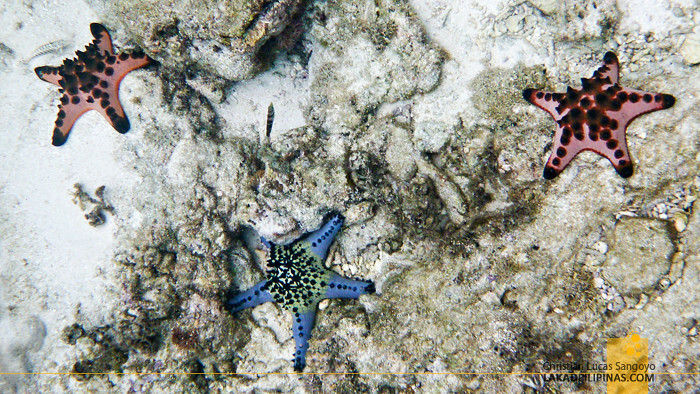 We got to see a lot of starfishes, but the place’s relatively strong current prevented us from swimming freely. Crystal Cove was next on the list. 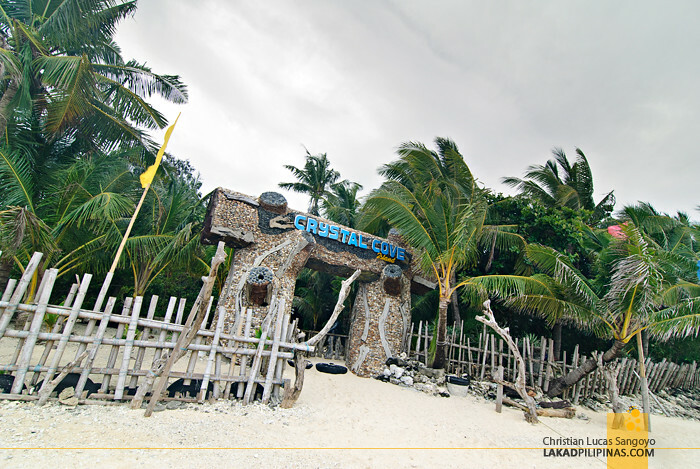 The resort is located on a small islet dubbed as Laurel Island [GPS COORDINATES 11.944338, 121.958091] on the north-eastern side of Boracay's main island. The property is gated and guests have to cough up Php200.00 to enter its premises. I peeked through the makeshift bamboo fence and deemed it to be not worth the fee. Besides, the island itself has pretty fine sand along its coastline, which is absolutely free of charge. We decided to unroll our mat, and simply enjoy the beach while waiting for our boatmates to finish their resort tour. Now, if only we have a few bottles of beer. 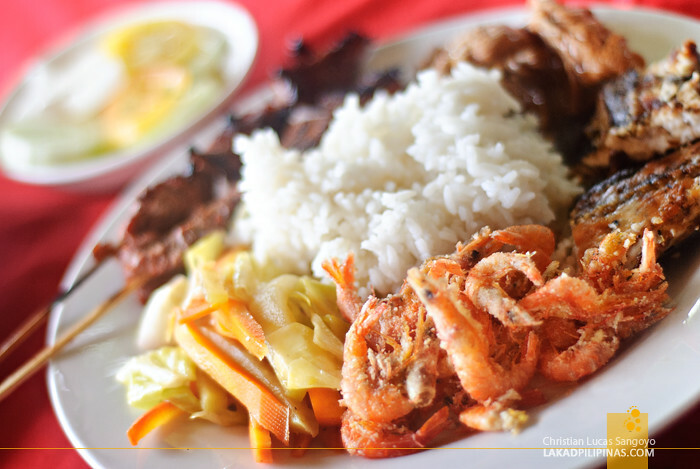 THIS IS AN ISLAND HOPPING LUNCH! Our wish for alcohol was granted at the next stop, Tambisaan Beach [GPS COORDINATES 11.949513, 121.947272]. 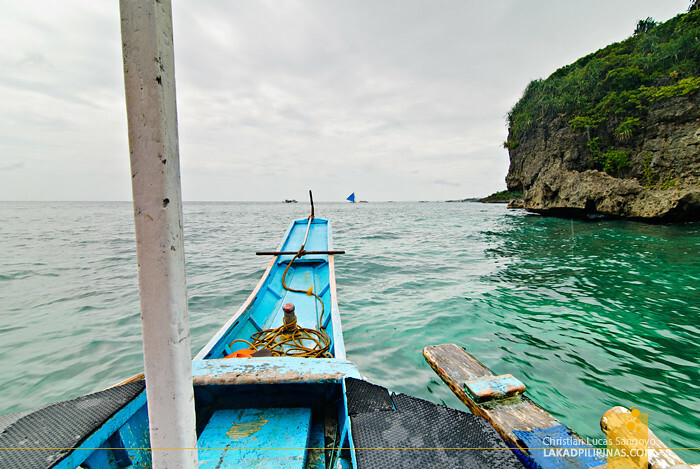 The area is just a few minutes away by boat from Crystal Cove and is located on the main island of Boracay. 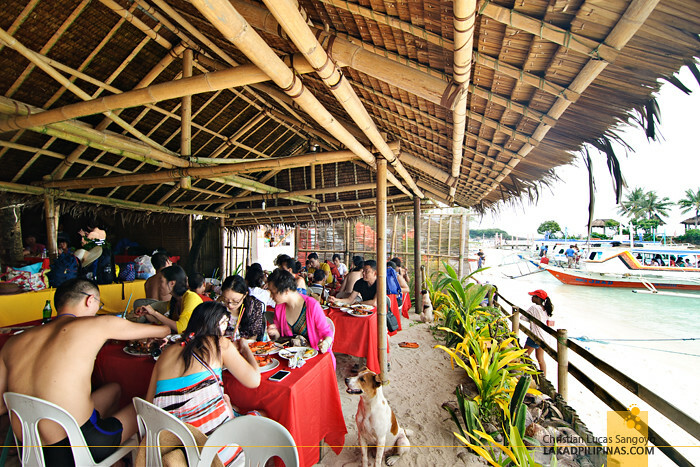 Although we’re always ready for a swim, what we were here for was food. 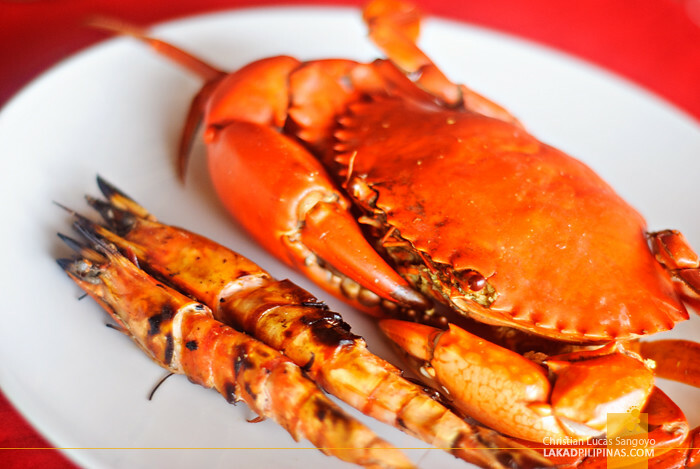 Set on an open-aired hut, a buffet spread with a feast of seafood, grilled meat, stir-fried veggies and fresh fruits welcomed us. 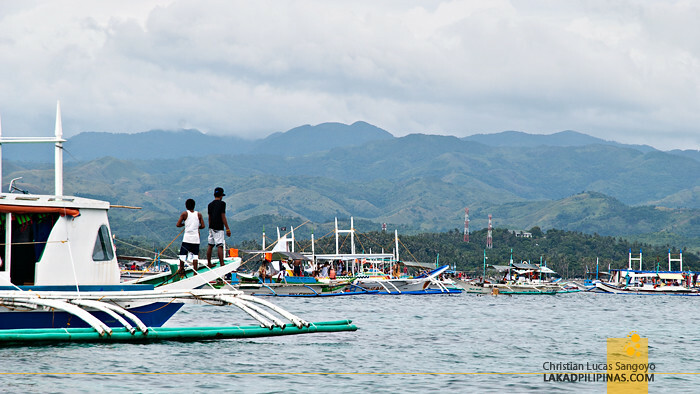 This is part of the island hopping tour, so we didn’t have to pay one centavo for anything. Surprisingly, even the drinks are free; they have bottled water, sodas and, thank the heavens, cold Red Horse beer. 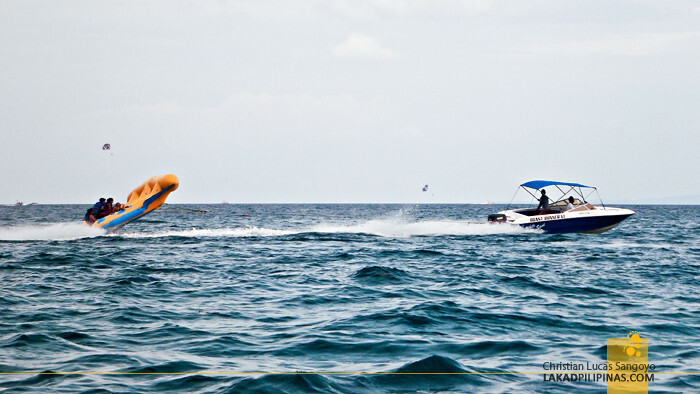 We passed imposing rock formations along the coast and tourists doing all sorts of water activities—jetskiing, banana-boating, parasailing, you name it—as our boat putt-putted to one of the northernmost beach in Boracay. Us, we were contented to simply watch them, we were too full from lunch. Ilig-Iligan Beach [GPS COORDINATES 11.993452, 121.925293] should’ve been the second to the last stop on our island hopping tour, with Puka Beach, being the final one. 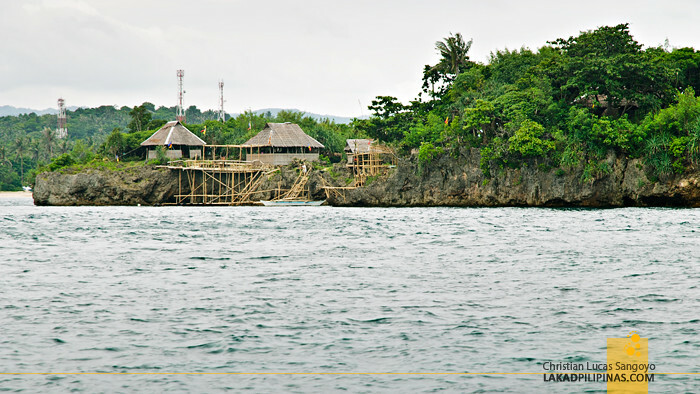 But the waves were just too strong at the western side of Boracay that the trip to Puka was cancelled. Good thing we already visited it the previous day so it was absolutely no problem with us. We disembarked and bade our boatmen farewell. With a flick, we set our mat along the white sand beach of Ilig-Iligan, brought out two bottles of beer we snuck out from lunch and waited for the sun to set. Oh wait, we’re on the wrong side of the island! Well, it really doesn’t matter. Cheers and toast to a day well spent even on habagat season!